It has emerged that US Secretary of State John Kerry has urged the Palestinian Authority, possibly even used the threat of sanctions, not to ratify the Rome Statute of the International Criminal Court. If true, this would be the first time that a state has been threatened with sanctions in order not to apply the rule of law. I stress that this is an allegation and has not been confirmed; nonetheless, it would represent a deeply disturbing development in the long and bitter Palestinian conflict. The US must support the rule of law and not circumvent it in its own interests. It must also recognise that it is in Israel’s best interest for the rule of law to be applied without discrimination and for a politically and economical stable Palestine to emerge from the peace process. Terrorism thrives on poverty and oppression, not stability and democracy. Incidents in Israel and the occupied territories of Palestine are never far from the news. With an almost daily occurrence of attacks from one side or the other it is often difficult to know where to begin when one is asked to consider relevant issues in the context of the application of international law and the need for accountability rather than state-sponsored impunity that we appear to be witnessing at present. There are two issues that deserve further consideration in the context of the unlawful occupation and aggression towards the Palestinian people. First, the recently announced decision by the ICC Prosecutor not to open a formal investigation into the deaths of nine civilians following the storming of the Mavi Marmara flotilla by the Israel Defence Forces (IDF) in 2010. Second, the summer Israeli incursion into Gaza as part of Operation Protective Edge that resulted in the killing of more than 2,100 Palestinians. The ICC decision is disappointing as there is a clear basis for the Prosecutor to investigate the Gaza flotilla incident. However, there are positive aspects that result from the decision that may have been lost in the disappointment of no action being taken at the international level to hold Israel accountable. It is important to remember that the jurisdiction of the ICC is complex and often misunderstood; we need to understand this before considering whether the Prosecutor reached the right decision. Personally, I think that the decision was wrong, but rather than offer criticism I would like to consider what positives may be drawn and whether the Palestinian Authority takes it from here. The ICC Prosecutor said that the situation under review was not sufficiently grave to warrant investigation at the international level. She made the point of recognising that the conduct under review may well, and probably does, constitute war crimes and that, despite protestations to the contrary, Gaza is under de facto occupation by Israel. These two points are significant and will have an impact when the Prosecutor is given the jurisdiction to investigate crimes committed by Israel in Gaza. However, the first hurdle one must always consider is the complex jurisdiction of the ICC. Neither Palestine nor Israel are signatories to the Rome Statute. As they are not “State Parties” jurisdiction can only be triggered by a UN Security Council resolution referring the situation to the court. It goes without saying that one of the permanent members of the Security Council is likely to veto any such resolution. Israel has stated consistently that it responds to acts of terror in self-defence. It has accused Hamas of firing rockets into civilian areas from civilian locations and using civilians as human shields. The government in Tel Aviv states that all these acts constitute war crimes and yet its own actions are, it claims, permitted under international law. On the other hand, the Palestinian Authority, and in particular Hamas, have called for the international community to investigate the actions of the State of Israel and in doing so recognise that their own conduct may come under scrutiny. The Hamas leadership has urged President Mahmoud Abbas to sign the Rome Statute to force the ICC Prosecutor to investigate Operation Protective Edge. It is clear that Israel has no intention of signing the statute and acceding to international scrutiny. For all its bravado of justice and accountability, Israel is desperate to manoeuvre politically and diplomatically. It has refused to cooperate with a UN Commission of Inquiry that it considers to be biased and it has refused to allow a number of UN Special Rapporteurs access to the Palestinian Territories under unlawful occupation. 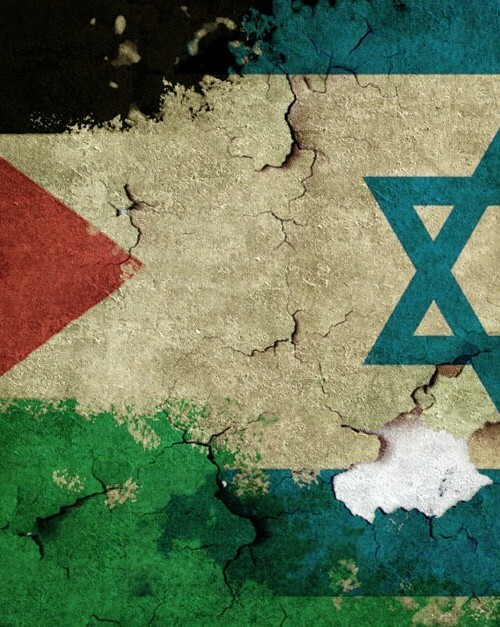 Palestine however is in a much stronger position. The PA has the right, and surely the duty, to ratify those international treaties that ensure its citizens are protected by law without discrimination. Ratifying the Rome Statute will allow that to happen. The question as to whether the ICC has jurisdiction to investigate the Mavi Marmara incident is a simple one and is quite separate from the allegations arising out of Operation Protective Edge and subsequent events. The incident was referred by the Comoros Islands (under whose flag the ship was registered), a state party to the Rome Statute. The Prosecutor has confirmed that the conduct in question may constitute crimes within the jurisdiction of the ICC; namely war crimes. The issue was simply one of gravity. As much as I may offer criticism of the Prosecutor’s decision I am minded to accept it as being technically correct on this basis. By virtue of Article 17(1) of the Rome Statute, the Court has an inherent right to “determine that a case is inadmissible where: [...] (d) the case is not of sufficient gravity to justify further action by the Court”. However, when dealing with the issue of gravity, the Court has considered previously that it is not just scale that has to be considered; there are other factors, such as the impact of the crimes and the harm caused to victims and their families, the employed means for the execution of the crimes to name but two. There are potentially grounds to appeal the matter to the Pre-Trial Chamber (PTC). Whether or not the PTC will apply a different test than the Prosecutor did is likely to be subject to some discussion in the intervening period. When one is looking at the matters under consideration regarding the Mavi Marmara investigation one must enquire as to whether the Prosecutor would have reached the same finding had the victims been UN Peacekeepers as opposed to civilians. Certainly the Prosecutor reached a different conclusion in the Darfur investigation which concerned the killing of 7 peacekeepers and the wounding of 17 military and police personnel on 13 July 2013. Ironically, in the Darfur case the Prosecutor stated that her office “…will not hesitate to investigate and prosecute those alleged to have committed such crimes should the national authorities fail to…” It is clear that Israel has absolutely no intention of investigating the matter and has in fact refused publicly to cooperate with a prior investigation conducted by the Turkish authorities. Turning to Operation Protective Edge, the legality of the operation has already been written upon extensively, with varying conclusions and varying justifications. What cannot be argued against however, despite various attempts, is that there is a basis for suggesting that war crimes and crimes again humanity were committed during the operation. There are simply too many examples of tactics employed that contravene international humanitarian law, such as the bombing of a beach which killed children; the use of indiscriminate ordinance such as flechettes; the bombings of schools and hospitals; and the destruction of power plants and water sanitation plants. The IDF cannot argue that its use of precision munitions and the warnings it provided absolve it of the responsibility to protect civilian life. A warning does not mean that any death that may follow is acceptable under international law. The real issue however is the pursuit of accountability and whether any meaningful progress can be made. The onus is now on the Palestinian Authority and, in particular, Mahmoud Abbas to ratify the Rome Statute. This is something that has been raised time and time again. However, President Abbas has stated recently that if the Security Council fails to pass an as yet to be drafted resolution calling on Israel to retreat behind previous lines and end the blockade of Gaza, his government will ratify the statute. It remains to be seen if this is another empty promise, but, for the sake of accountability; for the sake of the victims; and for the sake of the stalled peace process, it is hoped that justice is at the forefront of that policy. Whilst the Prosecutor’s decision may be criticised for failing to apply a consistent approach to all investigations of this nature, it is important to highlight once again the positive aspects of her decision. The very significant point is that the Prosecutor found that war crimes were likely to have been committed by the IDF. Hence, this goes some way towards dispelling the suggestion that the IDF was acting in accordance with international law, and acting purely on the basis of self-defence. It was not, and it is quite right that the Prosecutor should say so. This is direct criticism of Israel by an international body, the importance of which should not be under-estimated. It is of further significance given that the Prosecutor found that Israel remained an occupying force in Gaza. These two elements of the decision, as much as they are welcome, raise a number of questions. Was their inclusion in the Prosecutor’s decision merely to cushion the blow? Was it a message to the authorities on both sides of the conflict to say “we” are watching you? Or was it a further plea to the Palestinian Authority to ratify the Rome Statute? In my mind, there does not appear to be any logic to their inclusion unless it was as a cushion, a threat or an invitation. I am minded to believe that it was the latter and, as welcome as it may appear, it has put the Prosecutor into somewhat of a bind. If the Palestinian Authority ratifies the Rome Statute today and invites the ICC to apply it retrospectively to Operation Protective Edge it is difficult to see how the Prosecutor can refuse to investigate. Perhaps that is her intention. Quite naturally this whole approach has angered Israel. Of course, it welcomed the decision not to investigate, but it criticised the Prosecutor for taking a swipe at its “moral” armed forces in its so-called legitimate actions to combat terrorism. The decision has also angered the Palestinians, in that it acknowledges the allegations as likely war crimes and that Israel is an unlawful occupying force, and yet it then says that there is nothing that the court can do about it. This merely reinforces the widely held belief that Israel is immune from criticism. The immunity, or rather impunity, that Israel has benefitted from in recent years is fast coming to an end. As noted previously, the winds of change are taking Palestine towards statehood and with that comes accountability. To suggest that ratification of international treaties or recognition by the UN harms the peace process is nonsensical. The blatant double standards of certain members of the international community must be highlighted, and must end if there is to be any hope of a lasting peace between the parties.